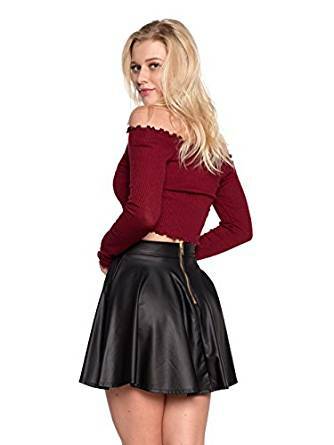 The leather skirt is a piece of resistance in the wardrobe of any woman, but if you do not know how to wear it, you risk to cause a disaster. We give you some ideas that will help you to wear your skirt like a true fashionistas. The skirt is not easy to match. The first step you need to make is to choose the right model for you. Some women look better in medium-length skirts, while others prefer short skirts. When you’re wearing a leather skirt, you have to keep in mind where you’re going. 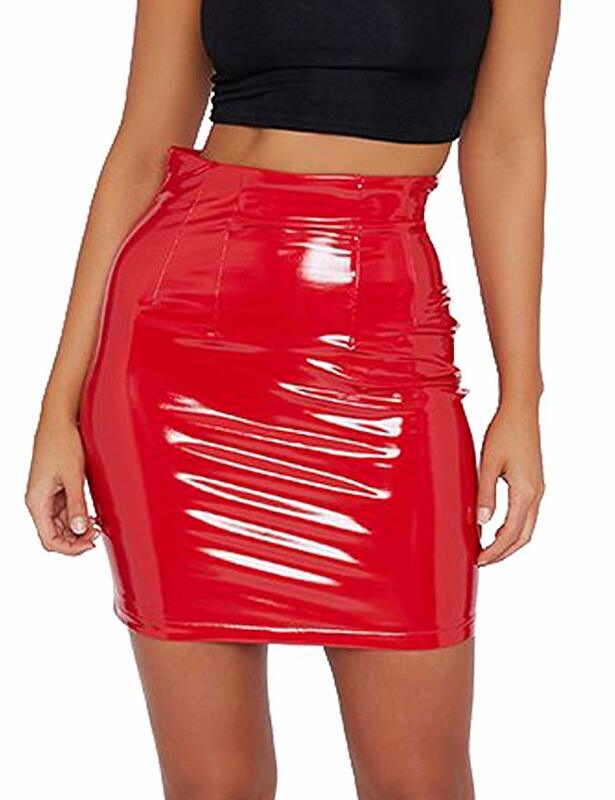 For the office, for example, the best choice is the conical skirt, which you can wear with a shirt and a pair of shoes with a heel. The other models are pleated, circular or straight and you can choose any color, not necessarily black. A mulled skirt should be worn with a wide top, while a circular one looks best with molded blouses. 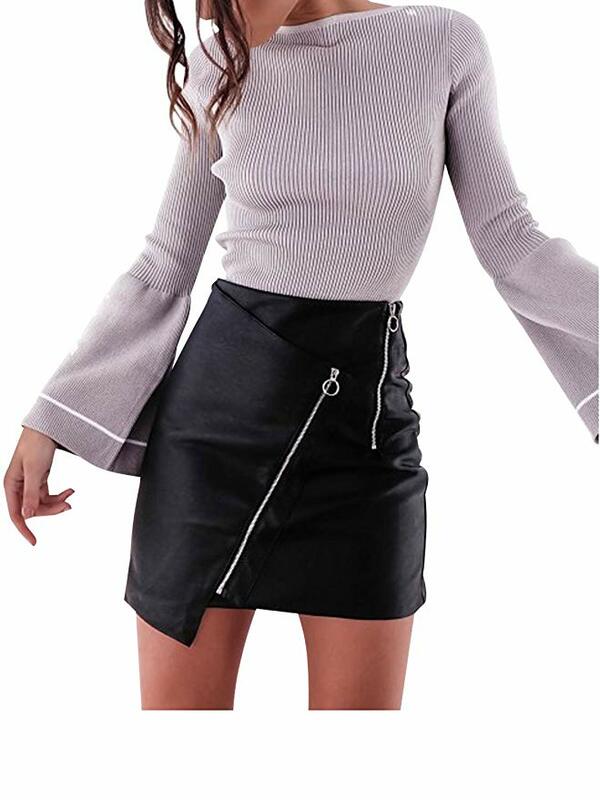 For black leather skirt you can choose blouses in any color, but the best choices are the cream or white tops for the day and any color for the evening. A lightweight T-shirt gives you a casual chic air when you wear it with a leather pencil skirt and heel shoes. The statement accessories give personality to the outfit. 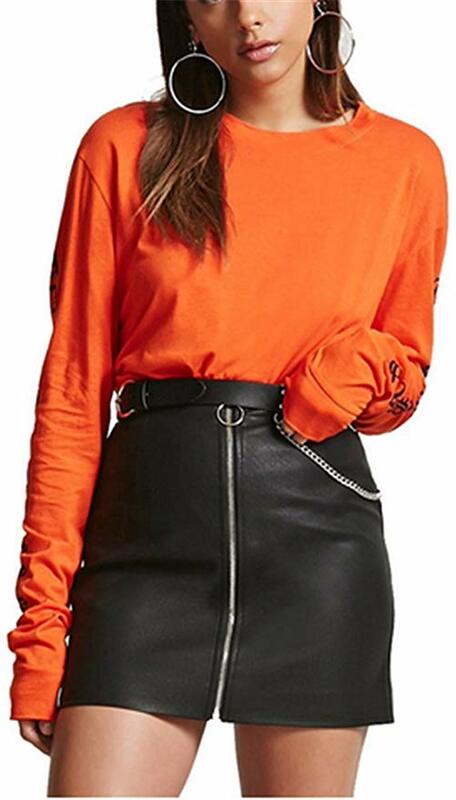 A leather skirt with an oversized top with a structural cut, and a pair of boots, make up a very fashionable urban look. The skirt is one of the most versatile pieces in a woman’s wardrobe. It’s a piece of effect, yet, many of us keep it from it, considering it either too outdated or too bold. There must be courage, intelligence and creativity, because in the right combinations it looks fabulous.